Green Lake Lutheran Ministries provides spaces to take a step back from our busy daily lives to connect with God, God’s creation and one another. Located on Green Lake in Spicer and Lake Andrew in New London, we have beautiful spaces for a day away from the office for trainings, meetings or fun. Whether you come for a day or a week long stay, we strive to be attentive to your needs with our comfortable accommodations, delicious meals and radical hospitality. 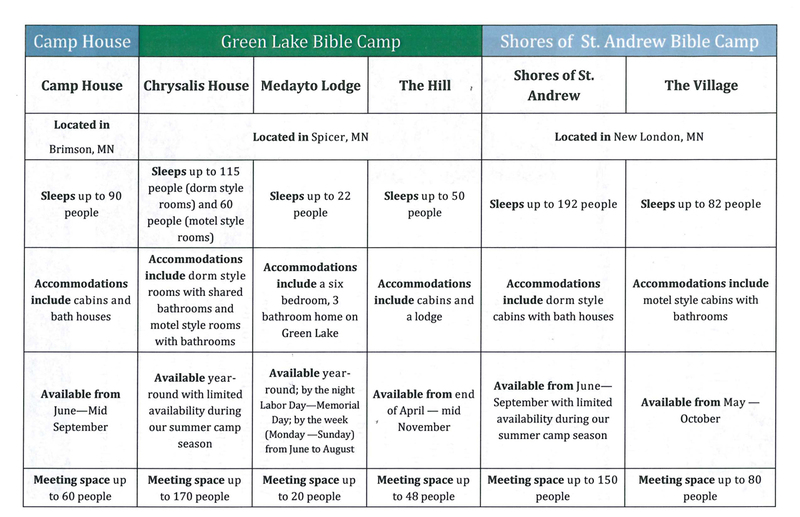 At any of our three unique facilities-Green Lake Bible Camp in Spicer Shores of St. Andrew in New London, and Camp House near the North Shore, you will experience rest, renewal and fun for people of all ages. 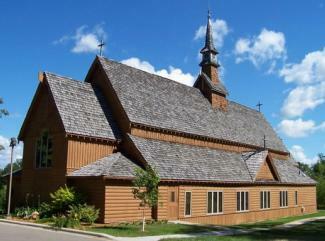 The Green Lake Bible Camp and Chapel is a populat retreat center and historic chapel with fountains and gardens. Chrysalis House: A year-round retreat center located on beautiful Green Lake. Features 15 adult hotel-style rooms, 8 student dorm rooms (each with 5 sets of bunk beds and two single beds), a spacious dining room, 5 meeting rooms and lounges for groups from 20-35, and the New Vision Room that can seat up to 200 people. The Hill: Seasonal accommodations, tucked away in a beautiful wooded setting. The lodge offers dining space for 50 people with a fully furnished kitchen. Four sleeping cabins can accommodate 12-14 in bunk beds. Bathroom with shower included in each cabin. Medayto Lodge: A 6 bedroom, 3 bath lakefront home on the shores of Green Lake. Accommodates groups up to 22. Features full kitchen and dining room, large living room with gas fireplace and lake view, four-season sunroom, large deck and private dock. 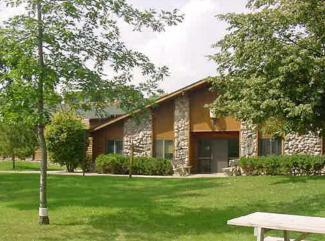 To book a retreat with Green Lake Lutheran Ministries, call KP at 320-796-2181 to pick dates for your stay with us. The pricing for a retreat is dependent on the number of nights stayed on site, the number of meals prepared by our kitchen, and if any programming will be provided by our Program Team. A contract will be prepared and sent to the retreat leader. Once the contract is signed and returned with the deposit (25% of the estimated cost of the retreat), the reservation will be saved in the calendar. What kind of retreats do you host? All kinds of retreats! We host church groups of all ages and affiliations, meetings for businesses or organizations, quilting and crafting groups, family reunions, school trips, weekend getaways and many other types of gatherings! We will work with you to meet your specific needs. What kind of resources does GLLM have available for us? We have plenty of tables and chairs, projector screens, projectors, sound systems, easels and whiteboards. Our kitchen would be happy to serve a meal or snacks and we always have coffee, water, tea and hot chocolate available!